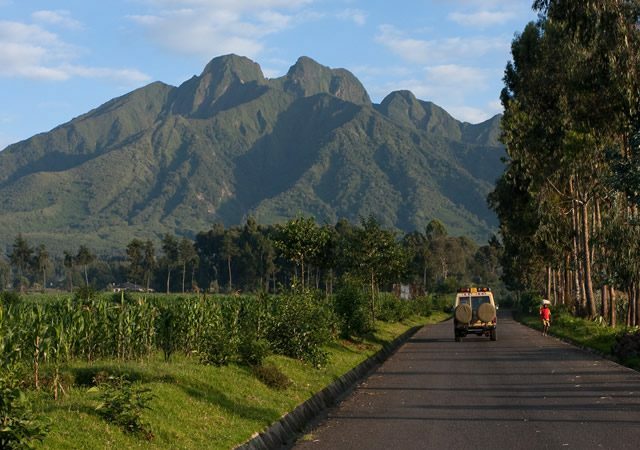 Volcanoes National park, or Parc National De Volcans is a game park in Rwanda famous for its mountain Gorillas. The park was reserved way back in 1925 as a way of putting an end to poaching activities which had for long threatened the continued existence of the already endangered mountain gorillas and to promote gorilla tours in Rwanda. Consisting of 8 continuous volcanoes, the landscape in Volcanoes is quite impressive, making it popular for many activities including hiking. The park is easy to access with just a 2 hour drive from the Kigali airport or just a 1 hour flight. Primate tracking: While at the PNV you can engage in Gorilla tracking and the golden monkeys. Gorilla treks require a permit which costs $750. While on the primate trails, one can also get time to visit the Dian Fossey tombs. Hiking: At volcanoes climbing the mount ranges is quite impressive with conquering mount Bisoke being a very popular activity. Mount Bisoke stretches 3,000 meters high making it highly tiring but also impressively adventurous to hike. Visiting the Ngezi Crater Lake at the top can also be fun. Musanze Cave Visit: The Musanze caves exist as a result of volcanic activity in the region. The caves were opened for access to the public in 2013. Buhanga Eco park visit: Buhanga Eco Park is an ancient place where the Rwanda kings were always coroneted from. The immense culture at the Buhanga makes it a must visit while in the area.